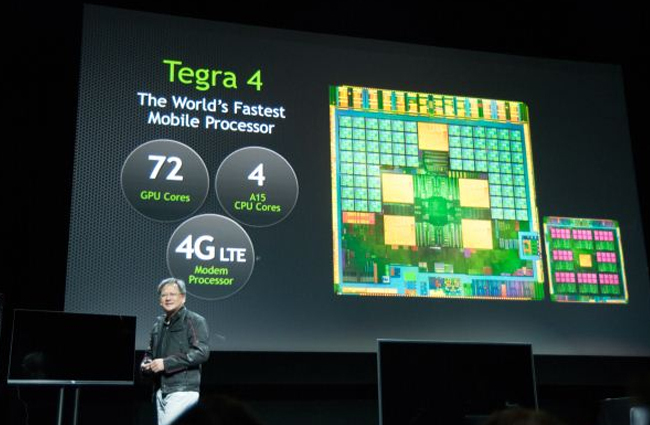 The new NVIDIA Tegra 4 processors are expected to start shipping in mobile devices later this year in mobile devices, but already Nvidia Tegra 4 benchmark results have been released showing what the new mobile processor is capable of providing users. The NVIDIA Tegra 4 processor comes with 72 custom NVIDIA GeForce GPU cores, which has been reported to deliver six times the GPU power of the Tegra 3 processor which is currently available. 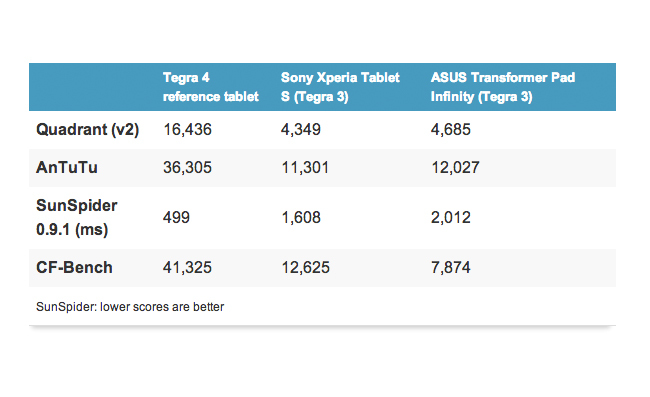 The Liliputing website and a number of technology sites have been able to run NVIDIA Tegra 4 Benchmarks on a tablet equipped with a new NVIDIA Tegra 4 benchmark CPU, revealing what the processor is capable of and revealing that their results are fairly similar : AnTuTu: Over 36,000, Quadrant: Over 16,000, CF-Bench: Over 41,000, SunSpider: Under 500ms. For the time being we will have to accept NVIDIA’s results and word on the speed of the processor, as no NVIDIA Tegra 4 benchmark processor are yet available to throughly test and put through their paces, but as soon as more information becomes available we will keep you updated.